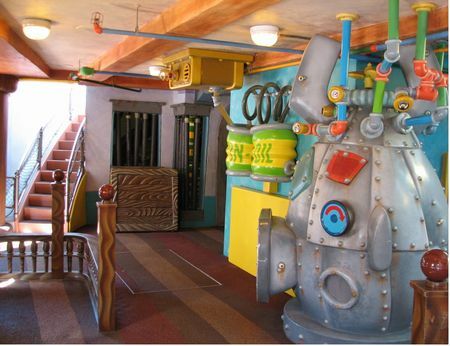 Me Ship, The Olive is a playground in Toon Lagoon at Universal's Islands of Adventure. It's worth seeing on a time-permitting basis. A play area for younger kids, this three-story boat has dozens of interactive activities from bow to stern. There are whistles, bells, an organ, places to hide, dials to turn, and a waterworks on the upper deck for drenching riders on Popeye & Bluto's Bilge-Rat Barges.